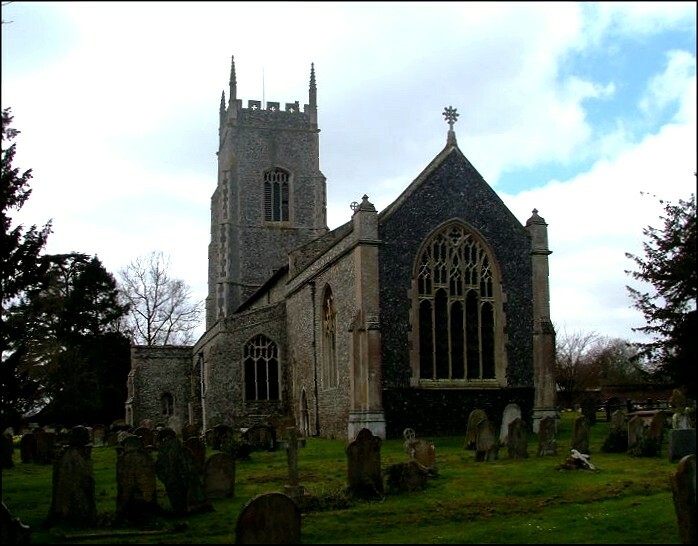 One of the delights of travelling in East Anglia is that you only have to go a couple of miles to come across another medieval church, and you never know quite what you are going to find. Some are small and homely, some extravagant and breath-taking, some austere, some beautiful, some quirky. If I say that St George is nothing special, then I hope that nobody will be offended. This is a large, attractive building, its exterior redolent of the excitements of the late medieval years, its interior a testimony to the full confidence of the late 19th century. It is set imposingly at a bend in the road, and it is open to passing travellers every day. It has some fascinating medieval survivals, and some outstanding features from the centuries in between. 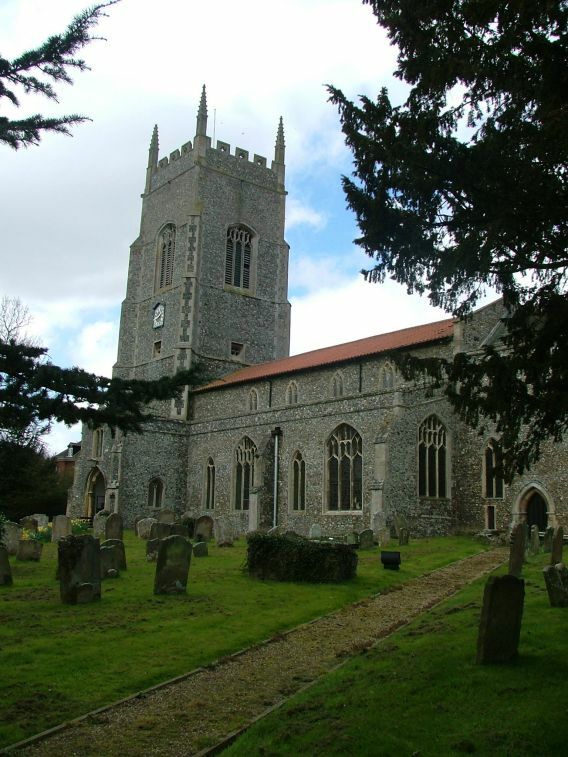 But if the medieval churches of England are the greatest act of witness that the Church has in this country, then St George is typical of that at its best, and typical of much of Norfolk - and so, in that sense, is nothing special. Long may it remain that way. 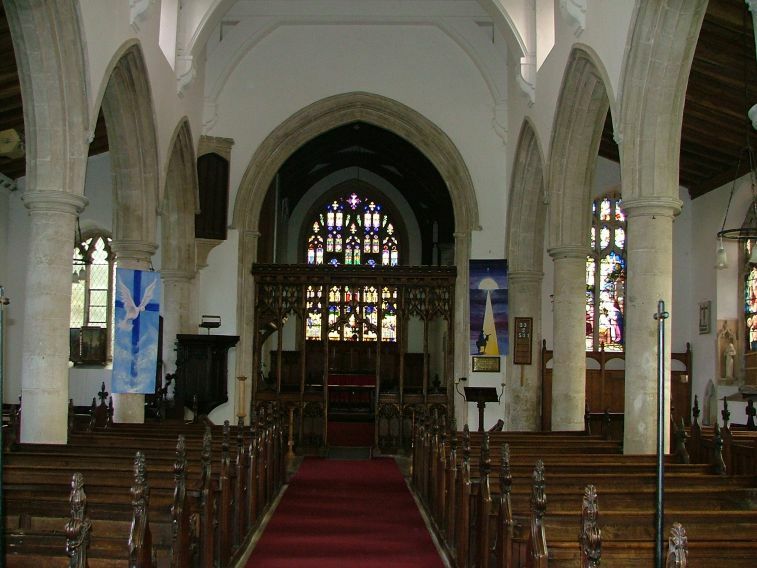 Just another church, then, you might think; but there is no such thing as an uninteresting medieval church, and all of them are worth a visit. Not all of them are open, and so this church is certainly worth getting down out of the saddle or off of the seat for. 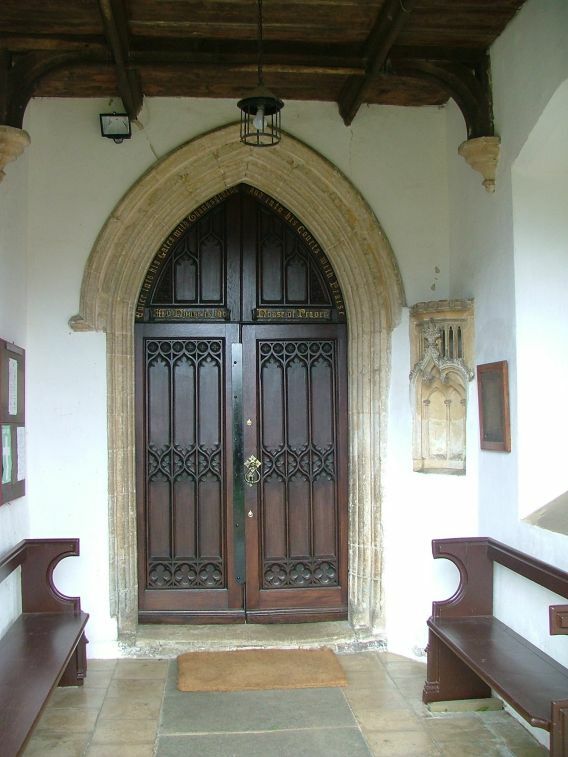 Even before you enter, the porch will tell you that this was a place where a considerable amount of money was spent in the century before last, and also that it has been very well cared for since. 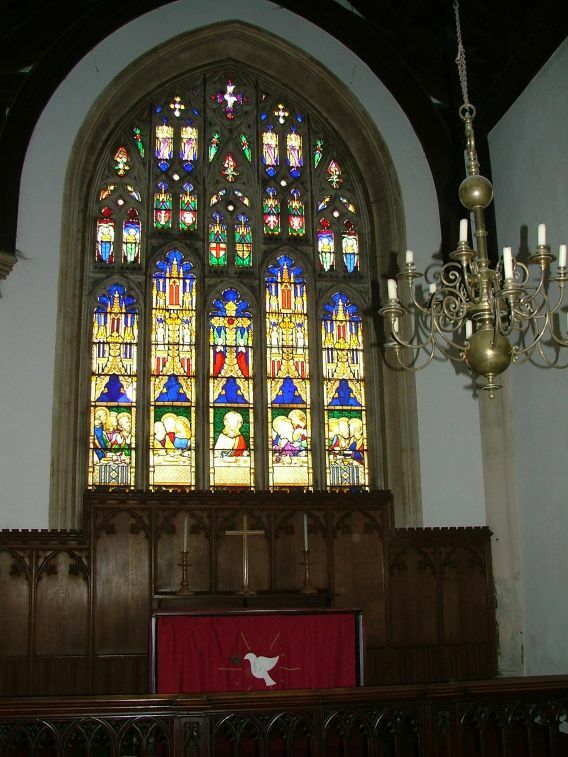 The interior you step into is dark and rich, typical of thousands of Anglican churches all over the world which were refurbished in the second half of the 19th century. We might as easily be in Armagh, Accra or Buenos Aires as in the Norfolk fields. 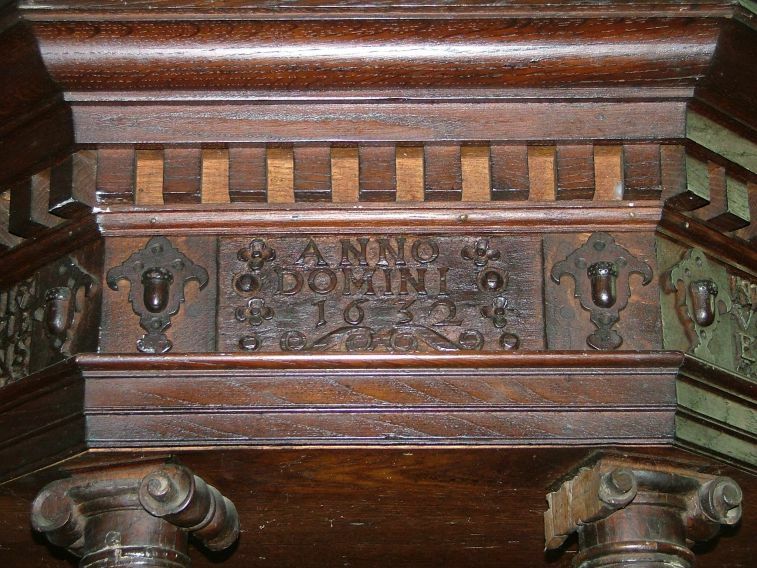 But look again - for among the furnishings in the style of the late 15th century that were so beloved of the restorers of that time are some genuine articles, medieval bench ends applied to the new range. 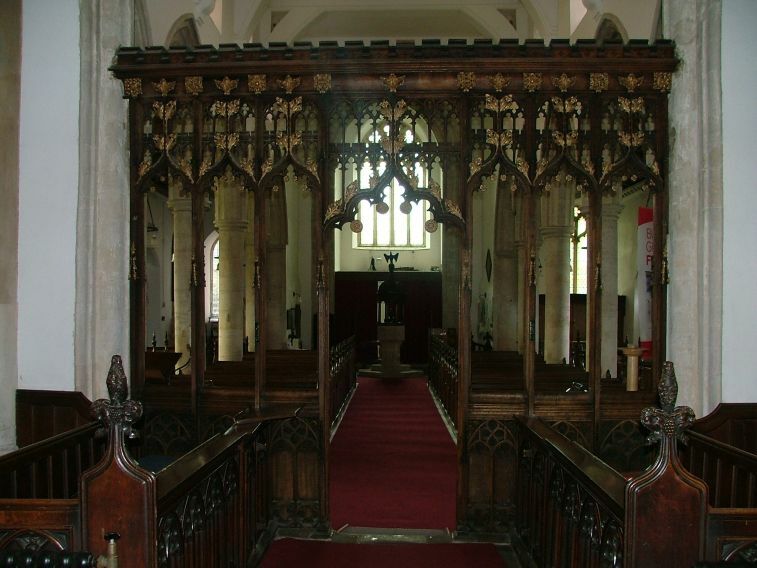 And, even better, there is the beautiful wine-glass pulpit, and a screen which, while without any surviving figures on its dado, is a delight in its tracery. 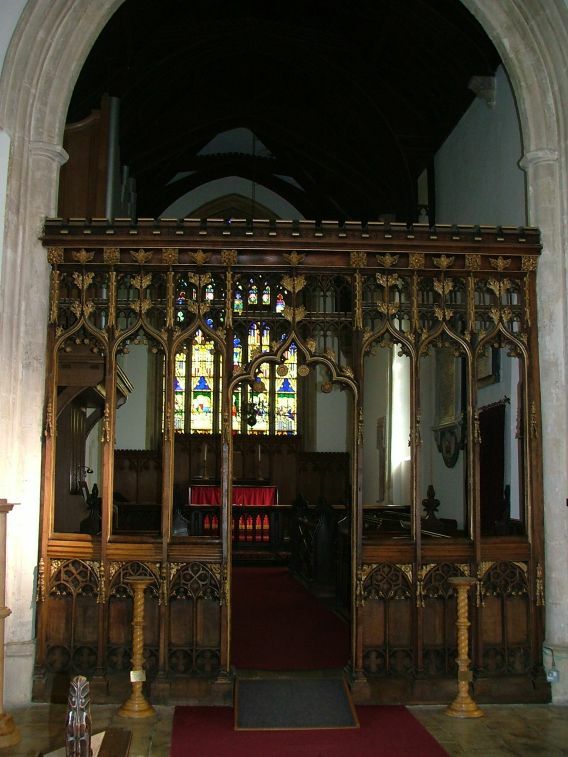 Perhaps the best of all the surviving furnishings is not medieval at all. 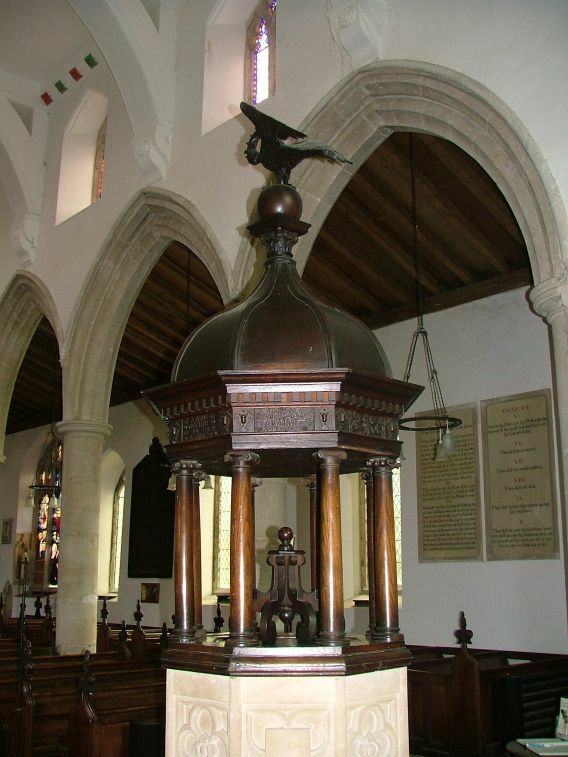 This is the magnificent Laudian font cover of the 1630s, domed and collonaded, with a pelican feeding its young on top. It must be one of the best of its kind in East Anglia. The enthusiasm of the Victorian restorers did not prevent them from conserving the best of the past, then. But it also did not stop them rather over-egging the pudding as far as the windows go. 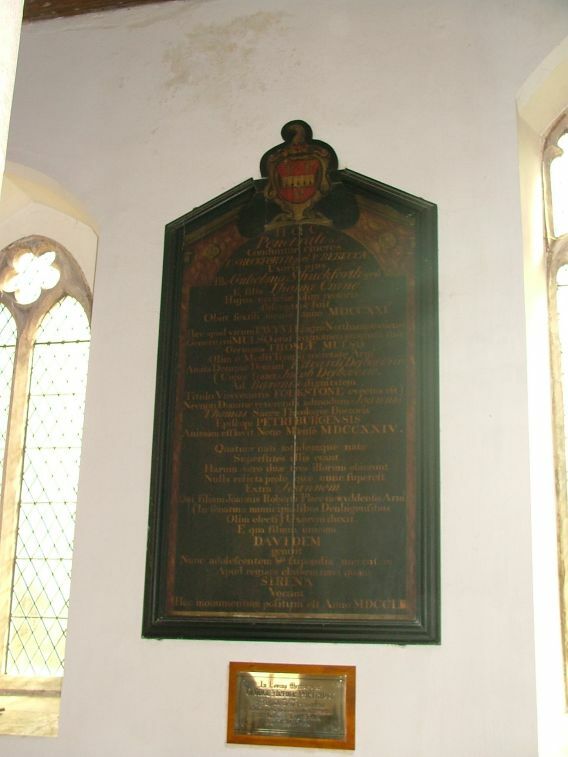 They are of variable quality, to say the least, and so it comes as some surprise to discover that much of it is some of the earliest work in Norfolk of the great WIlliam Wailes, in 1845. The 1890s Ascension and the Nativity by Lavers and Westlake in the south aisle are not good, although as is so often the case with these things, there are some neat little details. But Wailes's Last Supper, is worse, I think. Christ looks on in apparent disgust as a small animal rolls in his dinner. It is intended as a roast lamb, of course (although this is not a dish which would have been served at the Last Supper, which was a Passover meal) and I am sure that the expression is intended as one of piety. Not risking worse, the great east window contents itself with patterns and abstract shapes, saying nothing. Above the south doorway, the injunction of Christ to the woman taken in adultery recalls us all to be better people.